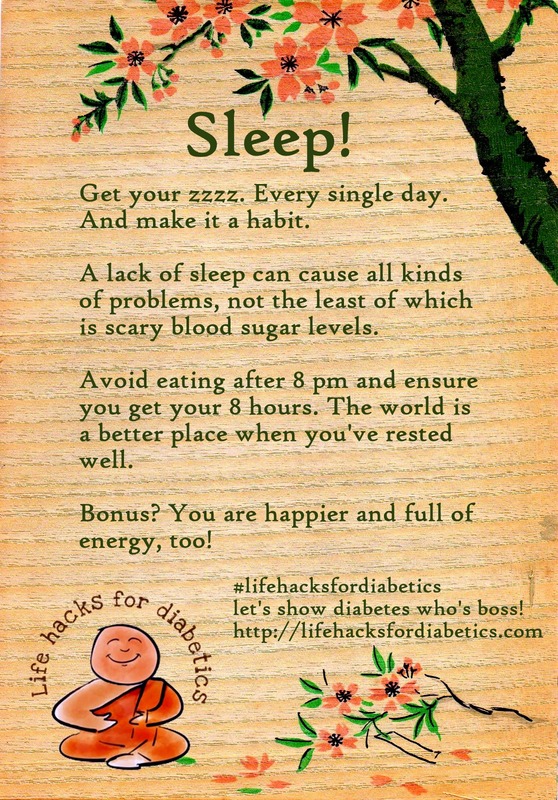 There is research to prove that sleep deprivation and insulin resistance may be linked. We need a good night’s sleep to help our hormones regulate various body processes such as appetite, weight control and the immune system. If you are someone who usually has trouble sleeping, you’ll be more tired during the day and tend to eat comfort foods that may or may not be good for you and this will add to the weight problem. And we know that good diabetes control is a result of a healthy diet, exercise and weight management. So, to help you sleep better, make sure you fit in exercise into your day – every day and try to stick to a regular bed time.